Hello Everyone! I hope you are all having a great week! How is your Lent going? 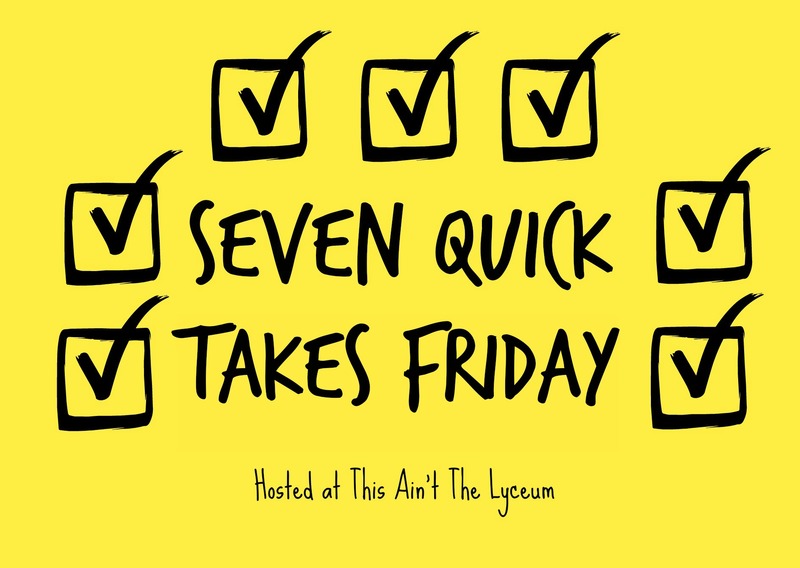 I’m trying to do 7 Quick Takes more often but sometimes it’s HARD to find 7 interesting things that happenned during the week. I’m hoping by writing things down in my Bullet Journal (see #2) will help with this…maybe. My new favorite thing is my Bullet Journal. I call it a planner for lazy people. I’ve never been a big planner person because I’d misplace it all the time or I’d forget it or forget to fill it in and would just give up. The awesome thing about the bullet journal is the point is to make you more productive. 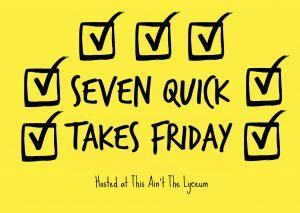 And since everyone’s brains work differently you can be productive in different ways using it. I’m in several facebook groups for it and it’s awesome to see how different we all set our journals up. Some people just list the days 1-31 down the paper for the month view and others draw out a calendar. Some have weekly views and daily views others just have weekly’s or just have daily’s. 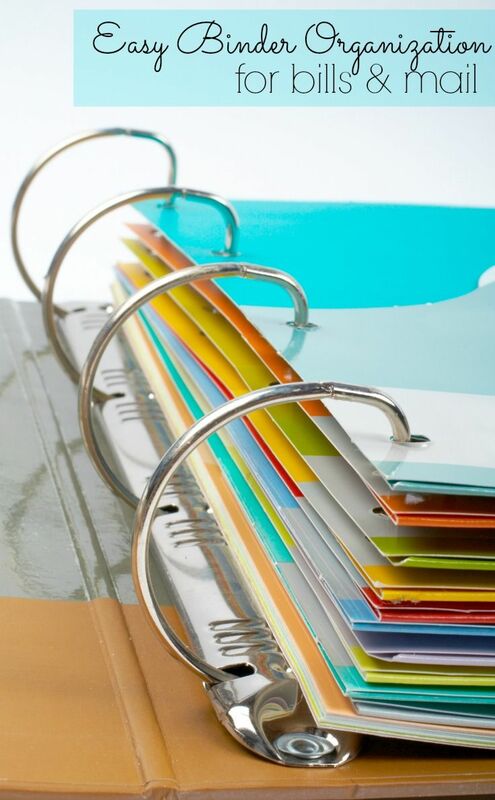 The coolest part is in between all the monthly and weekly stuff you can mix it up with other pages like a vacation planning one or a habit tracker. A lot of people will do different monthly challenges like handwriting, habits, lists, doodles, etc. they will keep track of the challenge in their journal. Some people will actually JOURNAL in their bullet journal. I plan on doing that as well if something interesting happens or I need to write about something. And for those of you that are interested but SO CONFUSED go check out Bobbi’s How-To Post. 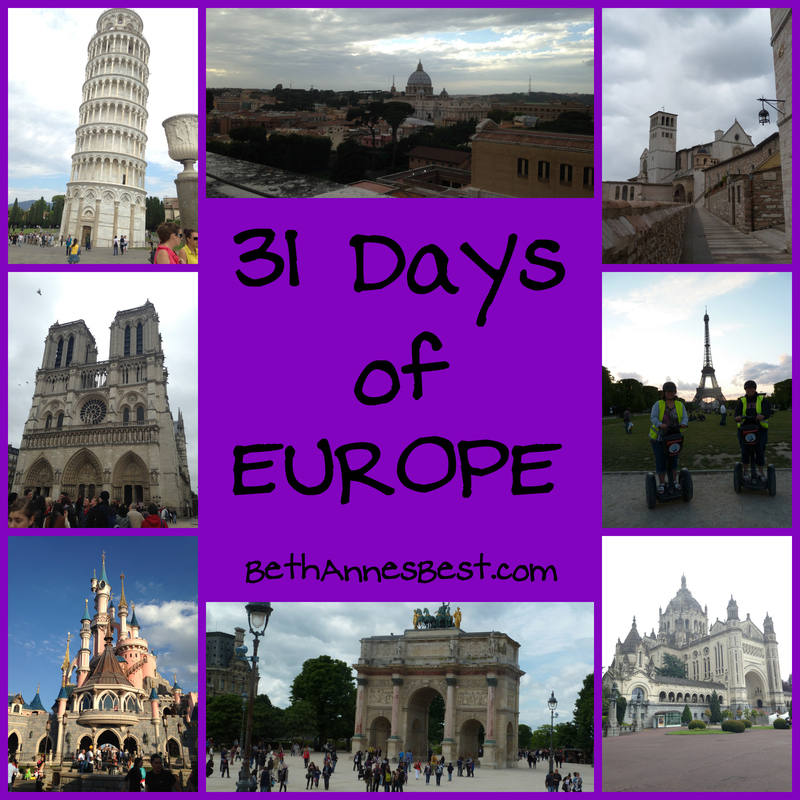 Have you checked out my #40LentPrompts link-up? 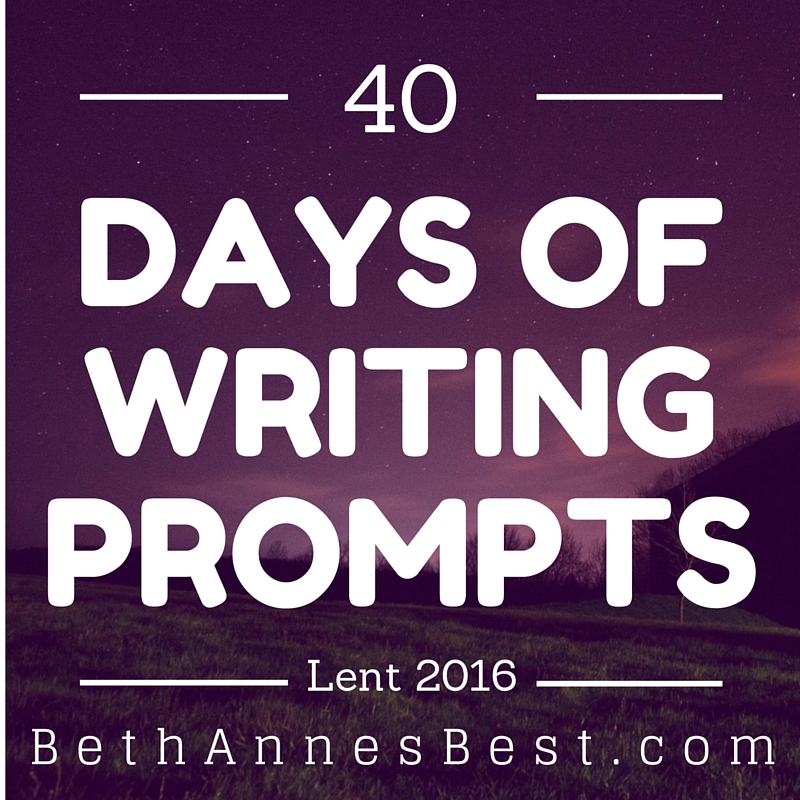 I have TONS (well 40) of writing prompts for Lent. You can pick and choose which ones you like and still link-up the link-up is opened till April. I’d love to have you join! You can go here to view all the prompts. And feel free to link-up any lenten meal recipes as that is going to be a prompt each week. Last weekend was our parish schools Festival. I worked the Popcorn/Cottoncandy/pretzel/sweet tea/lemonade booth. Did our booth have enough stuff? It was kind of the catch-all booth of stuff. Things I learned working the booth – PEOPLE LOVE to complain about things you can’t control. One lady wanted unsweet tea (I only had sweet tea – weird thing about her was you’d think oh she didn’t want all the sugar maybe she’s diabetic…no she proceeded to buy 2 glasses of lemonade instead). She also complained I didn’t fill the glass up enough. *eyeroll* Several people asked for straws and mustard or cheese for the pretzels…at least I was able to send them to the hamburger/fry booth. Several people asked for straws and mustard or cheese for the pretzels…at least I was able to send them to the hamburger/fry booth. My birthday is on SUNDAY!!! EEK!! I’m officially old as I’m turning 30. To celebrate we’re going to The Melting Pot. I wanted something fun and different and thought that would be fun. PLUG: If you have a birthday coming up make sure to check out my Birthday Freebies List…my free stuff is already trickling in. My mom needs to have knee replacement surgery at the end of the month. She knows how to celebrate holy week. Prayers for her as we prepare for it and she heals from it. We’re also probably going to have to move shortly as we currently live on the 2nd floor. We’re also probably going to have to move shortly as we currently live on the 2nd floor. Ugh I’m so tired of moving all the time. But I am kind of looking forward to it b/c I LOVE going through my stuff and getting rid of stuff. I’m also looking forward to living in a more functional place. Our current place is literally a tiny house not very big (like 700 square feet), is oddly shaped, and has cement walls so you can’t really hang anything on the walls. So a few years ago I created a 30 Before 30 list. My 30th Birthday is on Sunday like I have mentioned in one of my quick takes above. As of right now I have only completed 22/30 of the items. Maybe I’ll complete more over the weekend. Have you ever created a similar list? How much did you complete? My boyfriend said he hates those kinds of lists because he feels you are setting yourself up for failure. He does have a point but I still think they are fun. Well I only found out about them recently. They are pretty neat. I don’t carry mine around much because I’m lazy. I just use it at home mostly.